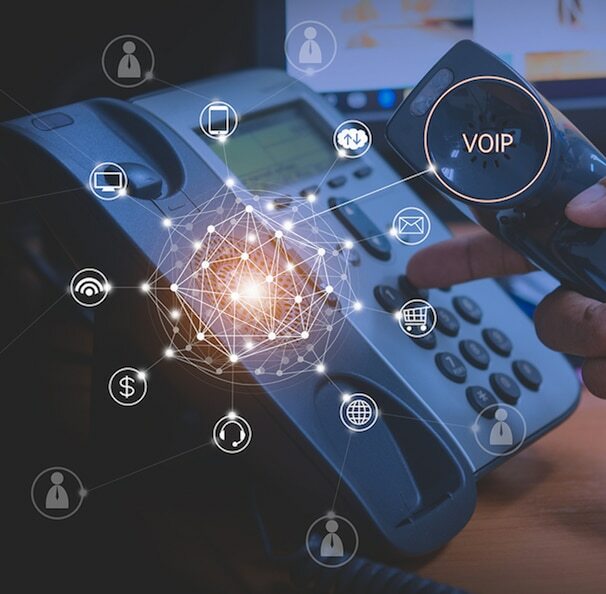 Voice over Internet Protocol (VoIP) has revolutionized the way businesses communicate, enabling users to make calls over the internet instead of traditional analog phone lines. The technology works by converting sound into digital voice communication, which is then transferred from user to user via internet broadband. VoIP is easily scalable to meet the demands of a growing business and multiple locations. Call quality is superior to traditional phone systems. Like today’s workforce, VoIP technology is mobile. Regardless of where your employees are, if they have Internet access, they can stay connected. VoIP can improve your company’s customer service by integrating with software platforms, enabling faster resolution and enhancing the customer experience. Sunstate offers customized VoIP solutions for every business. Whether you need on-premise or hosted options, you have poor internet — even NO internet — we can help ensure you stay connected. If you’re considering a switch, we’re here to help. Click here to learn more about the features and benefits of Sunstate’s VoIP solutions or contact us to speak with our business technology experts.